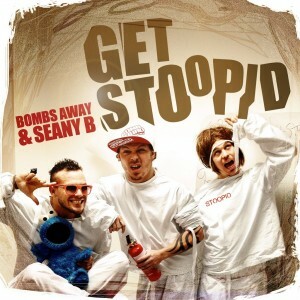 Those funsters from Aussie dance duo Bombs Away have decided that a summer dance anthem in ‘Supersoaker’ just isn’t enough to satiate their growing fanbase this year, last Friday releasing new single ‘Get Stoopid’ to digital retail. The track features the altogether ballsy guest vocal of Mister Seany B, whose pipes were most fondly remembered on the TV Rock anthem ‘Flaunt It’. The official clip’s a bit of fun too, but why in the world these red blooded gents would want to escape the lunatic asylum with such naughty, saucy, cheeky nurses (see below) is completely beyond us. Can the hapless coppers bring ’em back in?